Fairfield, NJ – MG America, the U.S. subsidiary of MG2 of Bologna, Italy and a leading supplier of processing and packaging equipment, will introduce a next-generation rotary capsule filler at Pharma EXPO Booth #677, November 2-5 in Chicago. The new TEKNA Capsule Filler is a hybrid of sorts, combining a sampling of best-in-class technologies from previous MG2 capsule fillers in one state-of-the-art solution. TEKNA is designed for powder dosing both low-dose (4-40mg) and standard powder filling ranges, and produces up to 70,000 capsules per hour (up to 140,000 per hour via upgrades). The TEKNA capsule filler features a “no capsule-no dosage” concept whereby the machine cancels the dose of a specific dosator if a capsule is missing. This serves to reduce product loss during both start-up and production, and also avoids the dispersion of powder in the dosing area and surrounding environment. The offering also minimizes machine prep time. All of the machine’s motorization and lubrication devices are located in the lower section of the machine, meaning the production area is completely separated from the technical zone. In addition, MultiNETT’s continuous and precise measuring of dosages optimizes production by monitoring the process indexes in order to identify possible improvements. 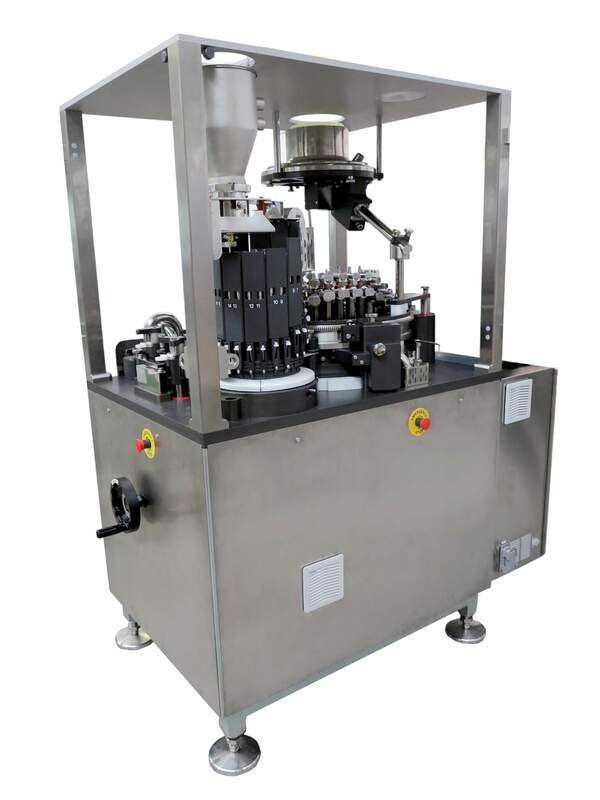 If necessary, MultiNETT self-adjusts the dosing chamber to keep the process in line with the required parameters. Moreover, the analysis of data supplied by MultiNETT identifies – in real time and without production interruption – the dosators requiring a check, in order to optimize batch quality. “The TEKNA capsule filler integrates tradition and innovation, inheriting the best of recent and consolidated technological solutions available in the wide range of MG2’s models.,” said Fabio Trippodo, President of MG America.